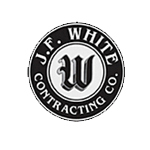 J. F. White is a multi-disciplined general contractor, with strengths in heavy/civil, design/build, electrical, mechanical, dive and deep foundation systems. McCourt Construction is a large, diversified construction company with a comprehensive skill set capable of taking on a variety of project types and sizes. 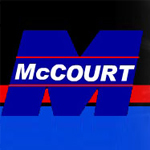 Since our founding in 1893, McCourt has been a family-owned, employee driven company focused on exceeding the quality standards of our clients. 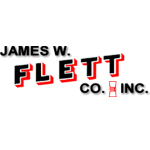 The James W. Flett Company is a family-owned construction business, based in Belmont, Massachusetts. Flett has been proud to serve construction managers, general contractors and owners for over 50 years. We are a second-generation business, still owned and operated by the Flett family. 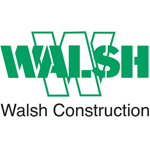 The mission of The Walsh Group is to be the builder of choice for our customers; the employer of choice for our people; to set the highest standards for ethics, quality and safety; and to achieve a fair balance of responsibility, profitability and citizenship. Construction services for civil, heavy highway, marine, rail, bridge, paving, and site work projects, in New England and central Florida. 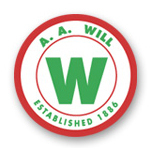 “For over 125 years, A. A. Will Corporation has excelled in all phases of heavy and civil construction. As the oldest family operated construction company in the greater Boston area, we understand the importance of providing consistent quality while adapting to changing times and conditions. Whether it be up down construction, roadway construction, or another specialty area, we’re able to provide our clients full service from conceptual design budgets to final completion of a project. 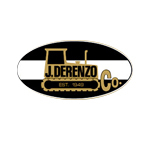 With a dynamic history dating back to 1949, the J. Derenzo Company, headquartered in Brockton, MA, is firmly established as one of the East Coast’s longest standing and most experienced full service site development contractors. 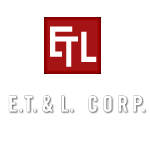 ET&L Corp. is one of the State’s leading firms for the advancement and construction of highways, roads, bridges, landfills, site development and environmental projects. We’ve also undertaken a variety of “specialty” projects over the years, from airports to bridges on private islands. The Dow Company, Inc., of Dracut, Massachusetts is a heavy construction company which specializes in earthwork and underground piping installation. 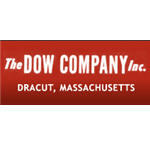 Over the years the Dow Company has contracted with most of the heavy building and highway contractors in Massachusetts, and has participated in the construction of many of the state’s major arteries. Since 1984, SPS has been helping to shape New England’s landscape. 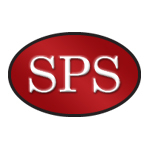 SPS has a strong reputation as a leading road and bridge contractor, the respect of its peers, and frequent contracts with New England transportation agencies. Our Heavy Highway Division is responsible for some of the most prominent projects in the region. 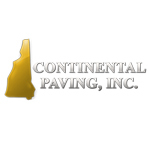 Continental Paving began in the 1970’s as a family owned & operated trucking business that steadily expanded into various related activities such as site development, utility installations, and eventually paving. Continental Paving remains active in the construction industry with commercial and industrial site development, asphalt paving, and trucking. Projects include commercial building sites, residential housing developments, roadway construction from town roads to interstate highways, and airport construction. 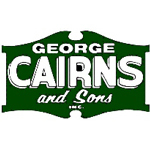 George R. Cairns & Sons, Inc. is a civil construction firm providing superior quality construction services through contracting, scheduling and managing, creating maximum value for our customers, owners, employees, the community, and the environment. TESTA originally conducted research on eight programmes in four partner universities to map assessment environments, develop interventions and evaluate them. The TESTA approach has been used with more than 100 programmes in over 30 UK universities, and in Australia, India and the USA. TESTA works with academics, students and managers – and for students, academics and managers – to identify study behaviour, generate assessment patterns to foster deeper learning across whole programmes, and debunk regulatory myths which prevent assessment for learning. NASDI, LLC, established in 1976, is one of the leading demolition and site redevelopment contractors in the United States, performing demolition, salvage/recovery and environmental remediation services for many of the nation’s most prominent corporations, institutions and government agencies. Since 2000, NASDI has become a wholly owned subsidiary of Great Lakes Dredge & Dock Corporation, a Chicago-based, publicly traded, international company operating in two reportable segments – dredging and demolition. NASDI operates across multiple construction segments itself – commercial, industrial and heavy-civil. 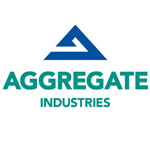 Aggregate Industries is a leading player in the construction industry, committed to creating a better built environment through sustainable approaches. The company produces and supplies a wide range of construction materials including aggregates, asphalt, ready-mixed concrete and precast concrete products. It also imports and supplies cement materials and offers national road surfacing and contracting services. 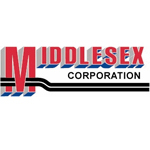 Paving contractor and paving materials supplier with eight hot mix asphalt plants strategically located throughout Massachusetts and New Hampshire. 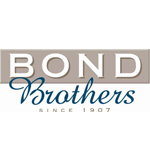 A fourth generation privately-held firm, BOND offers a wide range of services from conceptual feasibility services through construction execution across many delivery models including: lump sum bid construction, construction management at risk, design build, integrated project delivery. Company also self perform civil & utility work for institutions, major utilities and power generation companies. 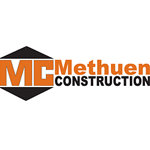 Methuen Construction Company, Inc. is widely recognized as one of the Northeast’s most successful self-performing General Contractors. Methuen Construction strives for complete client satisfaction by delivering outstanding construction services and cutting-edge solutions to each project’s unique challenges. 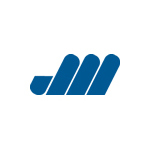 As one of the largest site and utility contractors in northeastern Massachusetts, J. Masterson Construction is able to meet all of your site development needs regardless of size. With over 65 employees and over 100 pieces of equipment we are capable of successfully completing the toughest of jobs, but also welcome smaller projects. 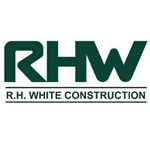 Since 1923, R.H. White has provided excellence in construction and service solutions to a wide range of energy, water, industrial, corporate, and institutional clients across the Northeast. 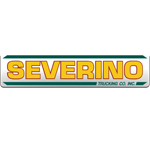 Severino Trucking Co., Inc. is an excavation contractor with over 38 years of experience in road construction and site development. Working in southern New Hampshire, northeastern Massachusetts and southern Maine, our scope of work includes commercial site development, private subdivision roads, municipal road construction and NH DOT federally funded road construction. Centrally located just south of Concord, NH, R.S. Audley, Inc. is a general contractor with a focus on roads, bridges, utilities, large site work, and unique structural projects throughout northern New England. Founded by Robert S. Audley in 1955, R.S. 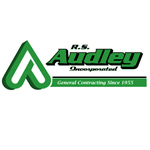 Audley, Inc. has become one of New Hampshire’s largest, most successful, and respected heavy contractors while remaining a family owned business. 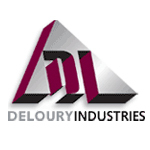 From its inception as Deloury Construction Company, this division specializes in excavation and total site work and is able to handle from the basic to the more challenging and complex projects. Deloury Construction performs earthwork services that make the difference from conception to completion including, but not limited to, site preparation and development, roadway construction, underground utilities, general excavation and demolition projects within both the private and public sectors. Borregard Construction specializes in Assisted Living Facilities and has completed numerous buildings throughout the state of Florida. Company understand the great need for attention to detail and safety requirements in such facilities. 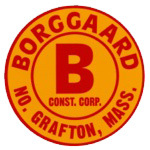 With knowledge that critical timing issues reduce carrying costs, Borregard Construction works hard to meet strict schedules to the clients’ advantage. 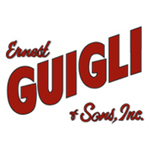 Established in 1966, Ernest Guigli & Sons, Inc. is a union excavating contractor and site developer. 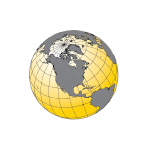 As a member of the AGC (Associated General Contractors of Massachusetts), firm specializes in road construction, the movement of earth, detention pond construction, and the installation of large scale underground utilities. Founded in 1987, Charah, Inc. is a total solutions company providing unparalleled service and innovation. Based in Louisville, KY, Charah today is one of the largest providers of coal combustion product (CCP) management and power plant support services for the coal-fired electric utility industry. We provide the highest quality in performance and innovative solutions that are environmentally conscious. 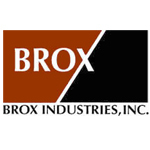 The Company transports a wide variety of commodities for its approximately 140 customers, including automobiles, construction aggregates, iron and steel products, chemicals, lumber, scrap metals, plastic resins, cement, coal, ethanol, construction and demolition debris, processed foods and edible foodstuffs, such as frozen foods and corn syrup. In 2012, the Company transported 31,725 carloads of freight.